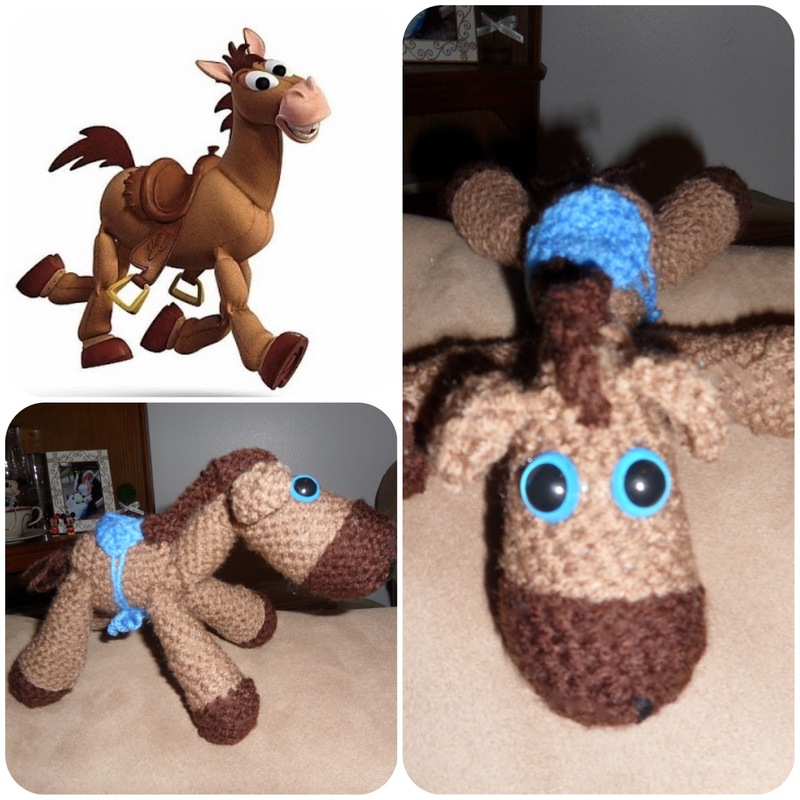 Picturing Disney: Free Bullseye From Toy Story Crochet Pattern! After creating this little fellow for a friend all of his kids started to call him "Bullseye." Of course I decided to make another for his daughter with Bullseye's coloring (a brown saddle, brown eyes, and lighter brown snout). Unfortunately I didn't take any pics before I wrapped up Bullseye! I think you can tell that this little guy has a pretty good resemblance to Woody's trusty steed from the Toy Story films. As part of my FREE crochet pattern collection here on Picturing Disney you can create your own Bullseye using THIS PATTERN. Well, I am impressed. I crochet but I could never pull that off. Love it!